The Flyer has the same basic shape as the B17 but for extra comfort on rough roads, it is equipped with springs.. The Flyer features bag loops to permit the use of a traditional English-style touring bag. Over 100 years ahead of todays saddle manufacturers, John Boultbee Brooks had already found the solution to a nowadays well known problem. 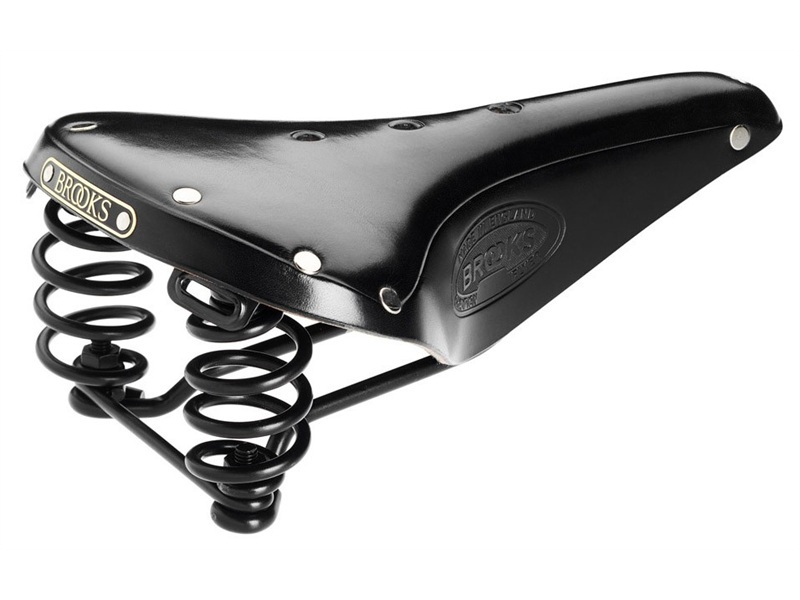 Should you ride a saddle with springs? 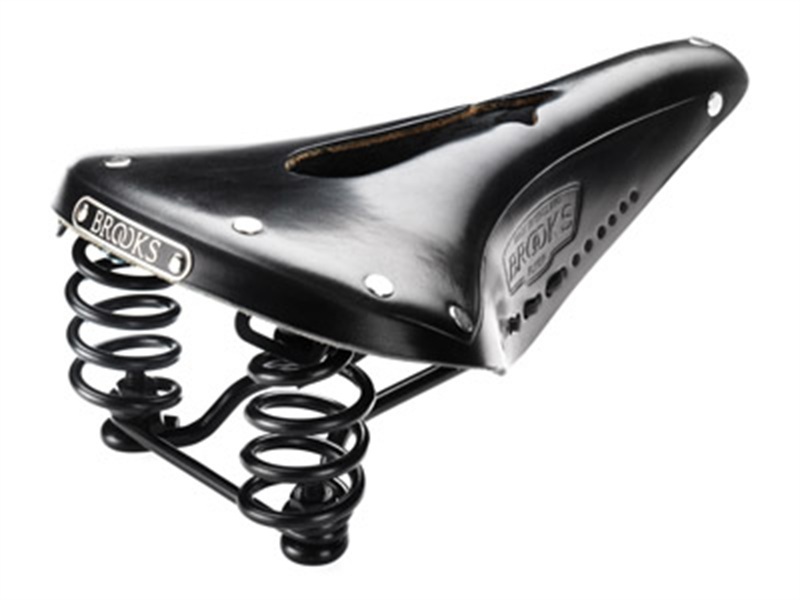 Brooks saddle tension wrench: Handle with care!